This is the text of the speech I will be delivering on 4/14/14 at City Council during the public comments period. Below the speech are 2 amazing songs and information on the May Day Parade and Celebration in Monroe Park!!! In 2013 the City of Richmond spent 11 million dollars to build a training camp for the racist football team from D.C. That racist team is the 3rd richest of all the teams in the NFL. But the City of Richmond has to pay them half a million dollars a year to practice here for 8 weeks. That comes to a total of 4 million dollars over the course of the 8 year contract. The rest of the year the facility remains vacant. The training camp space can and ought to be used as a homeless shelter and resource center for the poor- who make up 27% of Richmond residents. The locker rooms and other aspects of the facilities make the training camp a huge improvement on existing options for the homeless. Oh – and speaking of the homeless, they are facing the very real threat of being evicted from Monroe Park by the Monroe Park Conservancy if City Council approves this bogus lease tonight. I have to ask- what kind of people spend 15 million dollars on a racist football team that is already the 3rd richest in the league, but would rather put at further risk some of our most vulnerable residents in order to not spend 3 million more on Monroe Park? What kind of people? If the City of Richmond funded the entirety of the Monroe Park Renovations that would only be 2/5 of the amount being spent on that racist football team. If City Council chooses to pass the leasing of a public park, which is an invaluable resource to low income residents, to a private entity made up of the rich and powerful who which to silence and make invisible the homeless, City Council is engaging in violence, classism, and morally reprehensible behavior. 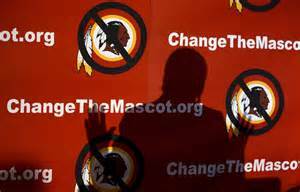 If City Council supports the racist football team from D.C., Council is disgusting and oppressive. The Washington D.C. City Council voted in 2013 to condemn the racist name, and Richmond City Council needs to as well. If you support the construction of an unnecessary baseball stadium on historic slave market grounds, you need to step back and educate yourself on racism. If you think the public should fund the baseball stadium spending over 80 million dollars before taking care of our schools and parks you are ethically bankrupt and have no business acting as a leader in this region. Funding the entirety of the Monroe Park Renovations without leasing the park would cost 1/13 of what the stadium is projected to cost. 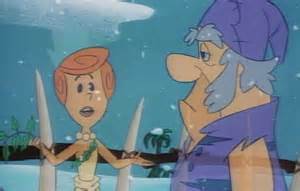 As my friend Gary Llama pointed out, this City government is acting like an irresponsible person with a credit card who spends money on fun frivelous things like eating out, vacations, and videogames, while ignoring their rent and utility bills and debts. This behavior is fiscally irresponsible and morally reprehensible and I urge you to change your ways. Our public schools are literally falling down on and around our students. 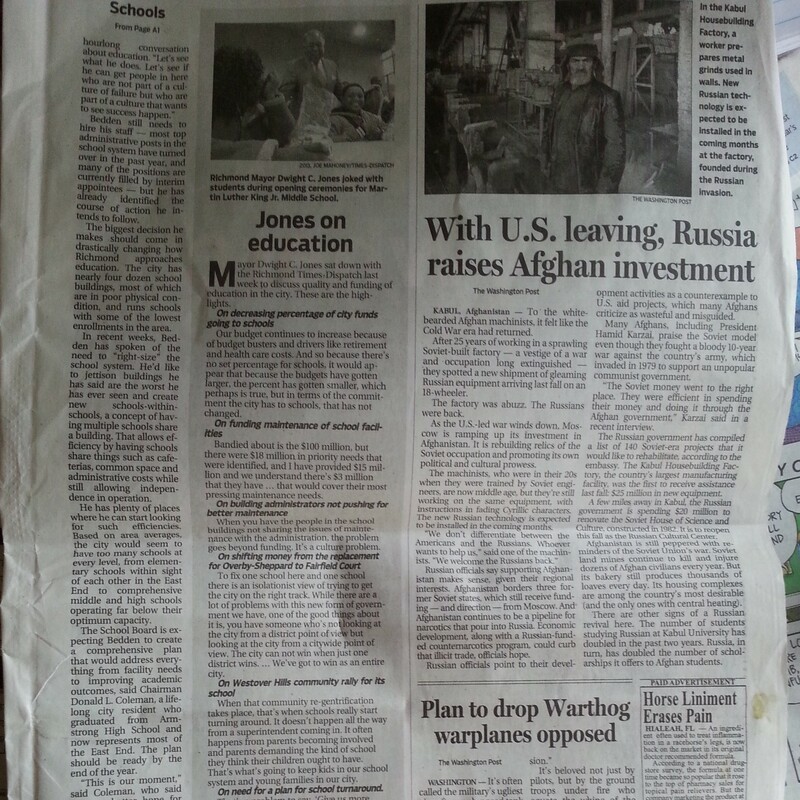 In Sunday’s paper Mayor Jones is quoted saying, “When that community re-gentrification takes place, thats when schools really start turning around”. So according to the Mayor, when low income and people of color are forced out of a community by upper middle class white people the schools get better. He thinks that the violence of displacement is necessary to improve schools. I bet if the Mayor and City Council did not spend public funds on baseball, football, and tax breaks for Vulture Richmond there might be money for our schools and parks. I am telling you, we will not go quietly. Scratch that, we will not go. The neoliberal direction of this administration is creating a resistance among the people, and we will not go, we shall not be moved. We Shall Not Be Moved by Pete Seeger – some get pumped music for the resistance. 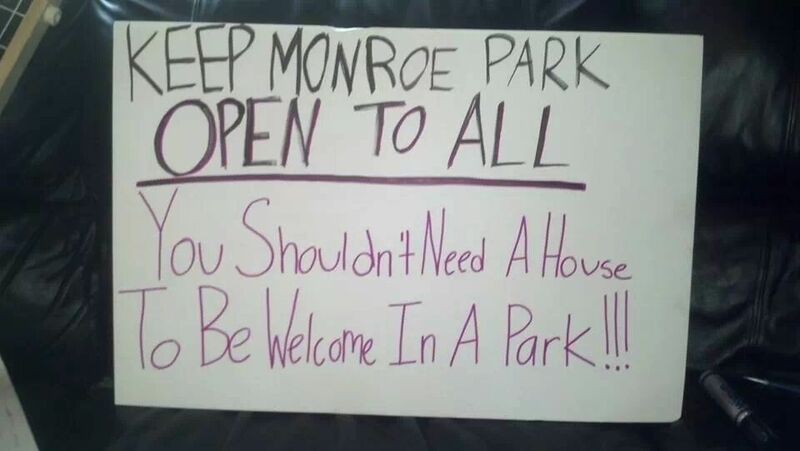 Because Resistance is fun – which is also why you should join the fight to Keep Monroe Park Open and Free at the annual May Day Celebration and Parade! Info Below!! May day parade will meet at 2pm on Thursday May 1st in Clay abner park. The parade will leave the park around 2:30 and march to Monroe Park. Getting to Monroe Park by 4 at the latest. In Monroe Park there will be a potluck cookout, speakers, workshops and bands as we hold down the park until dark. We want May Day to be fun, invigorating, and anti- stadium, anti-privatization of Monroe Park, and in support of Fast Food workers and everyone fighting for a Living Wage. So make your own signs and banners and puppets and parade floats and costumes and bring a dish to share! All Saints Theater will be organizing their puppets with support and determining the parade route. Day of, we will need bike marshalls, medics, legal observers, copwatchers, and more! And another of my favorite resistance songs- Which Side Are You On by Rebel Diaz!